Axel was found running as a stray and taken to a shelter. He was taken to a shelter where he sat for a couple weeks waiting for his family. When no one showed to reclaim him and his time was running out, he came to Finding Shelter so his life could be saved and a new family to love and care for him could be found. 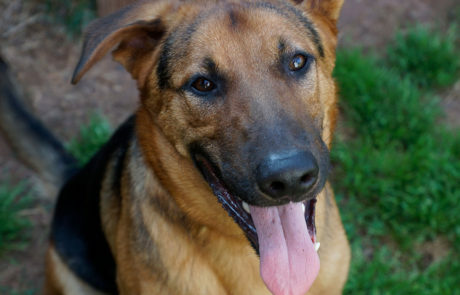 Axel is energetic, active, athletic, happy, intelligent and knows how to sit and give paw. He enjoys a physical style of play with other dogs. He would be just as happy as an only dog with a tall and secure fence so he can safely run and exercise with his family! Axel is sweet, loving and VERY playful! Axel has no known health issues! Axel is good with dogs! He hasn’t been around any cats while with Finding Shelter, so we’re not yet sure how he’d react. Axel is a very rambunctious dog and would not be appropriate with small children. A secure, physical fence is required for Axel to allow him the opportunity to run and burn off energy!